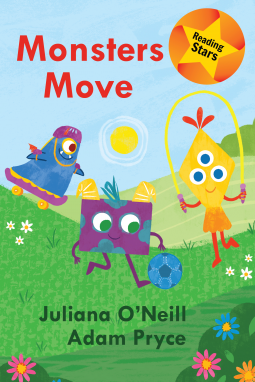 A great beginning reader: Monsters Move – Joyce's mystery and fiction book reviews with some non-fiction too! I wish that all beginning readers were this entertaining! With a simple vocabulary, funny and fun illustrations and some good rhymes, this is a great choice for a new reader. Kids will feel successful about their reading skills and will also see that reading can be fun as they go through the story. For the adults, there are helpful suggestions at the back of the book. Thanks to NetGalley and the publisher for another good title in the Reading Stars series.